Wow, how did it get to be May already? Wasn't it just Christmas? I hope that all of you are finally enjoying some spring temperatures and the beautiful flowers this season usually brings. This year, the merry month of May is also bringing great books and lots of fun! Here's what's happening at the blog. We open the month on Wednesday, May 2 with the Julie Johnstone When a Scot Gives His Heart review blitz. 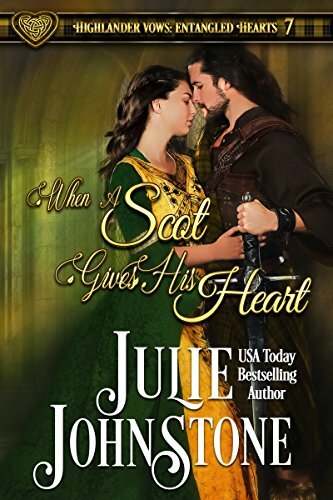 The seventh book in Johnstone's Highlander Vows:Entangled Hearts series, this medieval romance brings all the adventure and emotion for which Johnstone is known. 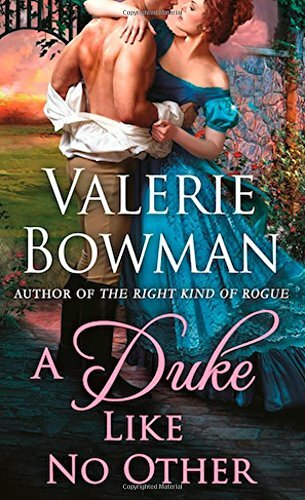 On Friday, May 4 we welcome the Valerie Bowman A Duke Like No Other blog tour. This final book in Bowman's popular Playful Brides series tells the story of spymaster General Mark Grimaldi and his long-estranged wife. counterfeiters determined to leave no witness alive. 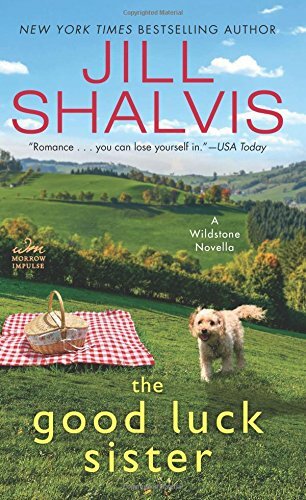 Monday, May 14 brings the Jill Shalvis The Good Luck Sister review tour to the blog. This novella takes readers back to Wildstone, the setting of Shalvis' current series, and gives a couple a second chance at love. Janga brings us another On Second Thought review on Tuesday, May 15. Wednesday, May 30, Anna Campbell returns with the final installment of On the Road with Anna Campbell as her four-month adventure draws to a close. I've had so much fun following her journey through Europe! We close out the month with Kat Martin on Thursday, May 31. She'll be joining us to chat about her next book, Beyond Control. The romantic suspense novel closes out Martin's action-packed, romantic suspense Texas Trilogy. I have a box of books for one randomly chosen person who posts a comment before 11:00 PM (eastern), May 2, 2018. Why am I always playing catch up lol. All the historicals for me plus Jill Shalvis! I look forward to so many captivating novel. 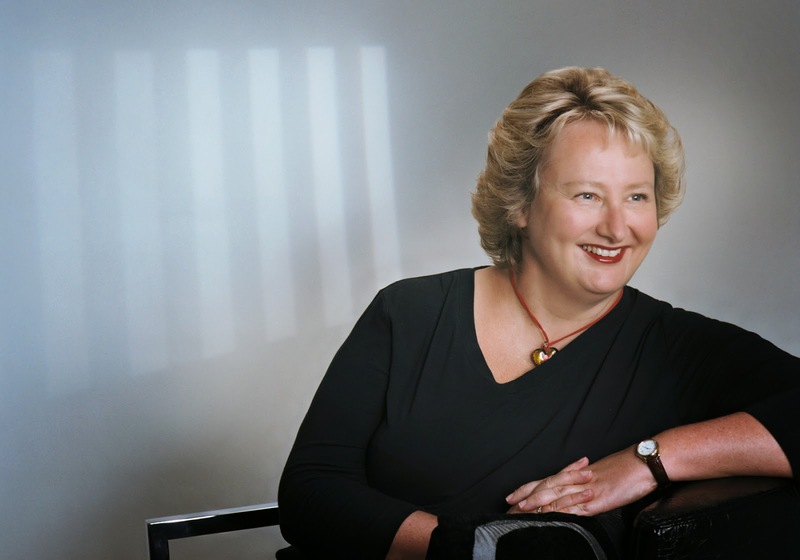 The historicals are always lovely as well as novels written by Kat Martin. I always look forward to the historicals. There are some good ones out this month! May is an extraordinary month for romance fans. Wonderful new releases abound, beginning today with Mary Balogh's Someone to Care, Jill Shalvis's The Good Luck Sister, and Lucy Parker's Making Up plus many others and ending in a burst of glory the last Tuesday in May with new releases that include three on my Best of 2018 So Far list: Katharine Ashe's The Prince, Eloisa James's Too Wilde to Wed, and Julie Anne Long's First Time at Firelight Falls. A Marvelous May indeed--and made more marvelous by all you have planned for TRD, PJ. I'm looking forward to The Prince. As you know, I loved the Eloisa James and Julie Anne Long novels! I just pre-ordered The Good Luck Sister! I'm also looking forward to the 3rd book in Erin Nicholas' latest series, Billionaires in Blue Jeans. The 3rd book is Cashmere and Camo and I can only imagine how much I'm going to love it! I haven't read any of the Billionaires in Blue Jeans books (love that series title!). Need to go check those out. Oh, so much to choose from, but it would be Kat Martin and Jill Shalvis!!!! Can't wait to read them!! I really liked the first book in Kat Martin's Texas Trilogy but I haven't read the second yet. I need to do that so I'll be ready for #3! top of my list is Mary Balogh's Someone to Care! Honeysuckle Dreams by Denise Hunter. I don't think I've read her. Another one to check out! I am looking forward to the Eloisa James' and Julie Ann Long's new releases. Personally, I am looking forward to getting out and about more since my knee surgery 3 weeks ago. Hope you're back to full speed soon, Cheryl! I've read advance copies of both of those books and they're wonderful. Like Janga, they're both on my Best of 2018 watch list. I have a few on my TBR for this month: Stealing a Duke's Heart by Shana Galen, Innocent Target by Katie Reus, The Prince by Katharine Ashe, and It's All About the Duke by Amelia Gray. Looking forward to the next Wilde book from Eloisa James, The Bashful Bride by Vanessa Riley, How to Marry a Werewolf by Gail Carriger, and probably a bunch of others that aren't springing to mind at the moment. I look forward to the Kat Martin at the end of the month, and I will probably read all the coming attractions!! Kat Martin is slowly becoming my favorite. Love to read all the rest you are featuring. I have a riddle for you. Why is it that every month there are books coming out which make me yearn to get - just one more? It is a disease. Hello, my name is Annette and I am a book addict. Looking forward to Good Luck Sisters and Recipe for Disaster. Thanks for highlighting them. I will never catch up on my books at this rate. 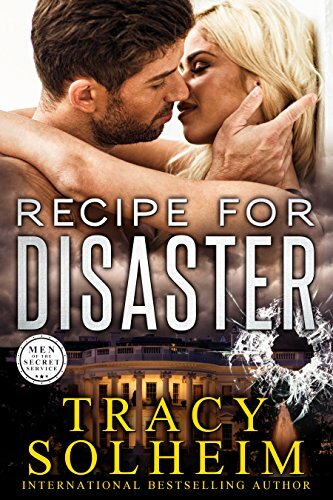 I'm excited about Tracy's book and Jill Shalvis' one too. Also the historicals and . . . Loved seeing you at BVW and talking with you too. 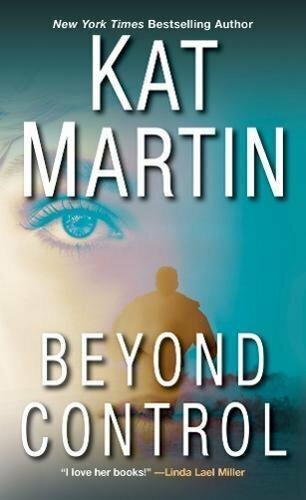 I am looking forward to the Kat Martin book and any new suspense books coming out. Am looking forward to Jill Shalvis' The Good Luck Sister. Read one in the series and really liked it. I'm looking forward to Julie Anne Long and Nora Roberts books that are out this month. So many good books coming out. Looking forward to Kat Martin. Also Anna's books are all awesome. A lot of good historical romances out this month! Late again. The historicals and Kat Martin books are on my wish list. I look forward to Anna Campbell's next entry in her European travels.